CHRISTMAS GREETINGS from SMN! To add a touch of modeling cheer, here are some delightful scale models with a festive touch. Mat Irvine: My friend Andy forwarded these pictures, so Mr J and I thought you'd like to enjoy them. There's a link below to take you to see plenty more. As Andy says, "...Besides the song Rudolph, the Red-Nosed Reindeer, singing cowboy Gene Autry recorded other Christmas novelty songs. In one of them, If It Doesn’t Snow on Christmas, Gene says that he’d really feel much better if he knew that Santa could fly a plane. 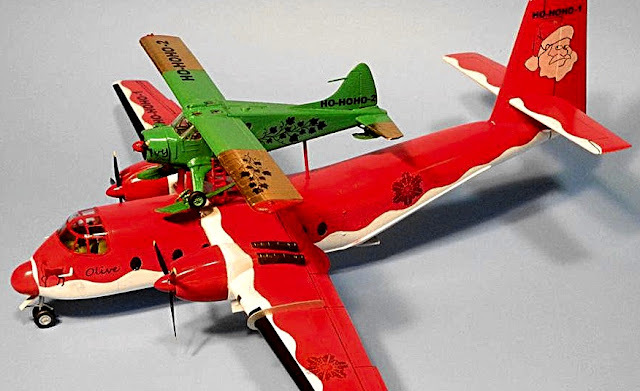 "Well, a modeler named Al Petrie has imagined what types of aircraft Santa has at his disposal. Attached are a few of Mr. Petrie’s creations." Thanks for the info Andy, and even more thanks to Al Petrie for these imaginative images. An Accurate Miniatures drone (below) dons civilian markings to fly as the Polar Predator. 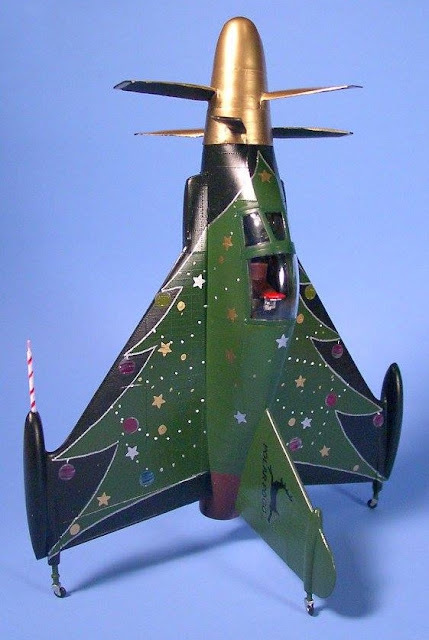 Festive markings (below) for a Lindberg Convair XFY-1 Pogo. 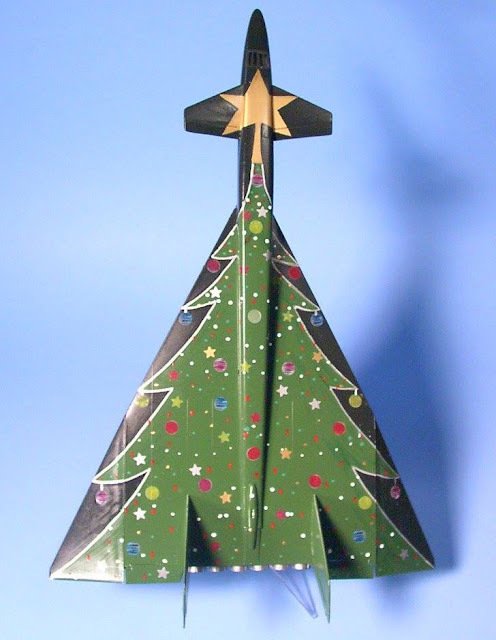 Another decorated Christmas tree (below) adorns the wings and upper fuselage of a Lindberg XB-70. 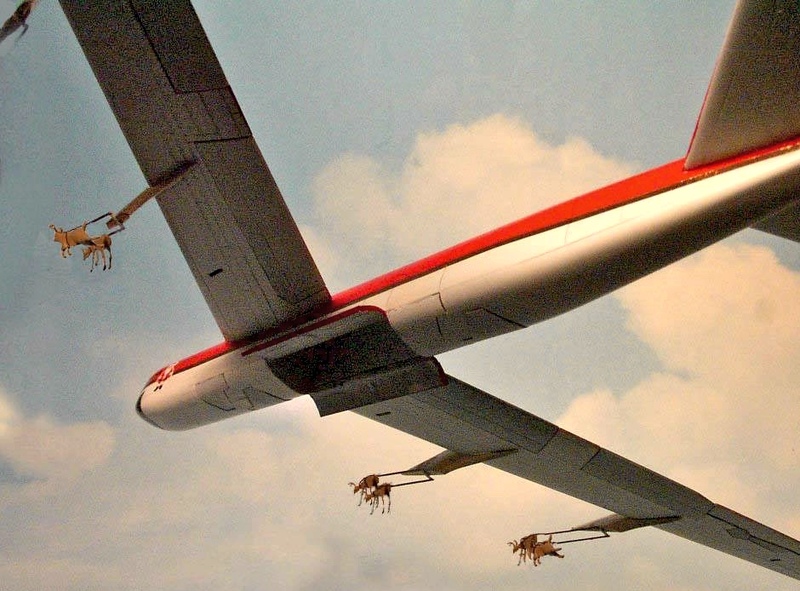 The US Air Force is about to run a competition to re-engine its B-52 bomber fleet, so maybe this reindeer-powered version could compete against the likes of GE Aviation, Pratt and Whitney, and Rolls-Royce.